NIGHT WATCH SECURITY SERVICES LTD have agreed the need for drug and alcohol policy which applies to all employees irrespective of status. Its objective is to ensure employees receive training and information on sensible drinking and drug awareness. The aim is to encourage those with drug or alcohol-related problems to seek the support of medical advice and counseling by an outside agency. NIGHT WATCH SECURITY SERVICES LTD recognise that drug or alcohol abuse at its various levels is a health problem requiring sympathetic help and special treatment. It is the aim of this policy to provide this. _________ is the Director/ Manager with responsibility for implementation of this policy. _________ will be responsible for advice on suitable outside agencies and counselors. _________ will be responsible for implementing a training programme. The names of external drug and alcohol counsellors and how they can be contacted will be posted on notice boards. All such counsellors will be made aware of this policy on drugs and alcohol. Every employee will be given a summary of the main points of this policy, and anyone with a drug or alcohol related problem will be encouraged to seek counselling. A training session and leaflets on sensible drinking and drug awareness will be provided and repeated periodically. It is accepted that stress at work can contribute to drug or alcohol abuse. We are therefore committed to identifying and reducing workplace stress factors. Research shows quite clearly that some jobs involve a much higher risk of alcohol abuse than others. The social pressure to drink can be stronger in some working communities. Irregular hours, travel and separation from the family, and the strain of a heavy workload are just some of the common job-related causes of alcohol abuse. a) Alcohol will not be available on company premises during working hours. This will apply throughout the company, at all levels, without exception. b) At any social functions organised by the company, among the beverages provided, there will always be non-alcoholic drinks available. Where problems involve the deliberate or unintentional abuse of solvents, whether or not used in the workplace, the person concerned will be covered by this policy. Where abused solvents are specifically work related, the employer will ensure that the use of solvents has been subject to the provisions of the Control Of Substances Hazardous to Health Regulations (COSHH Regulations), that the risks involved have been assessed and that measures have been taken to reduce all exposures to solvents to the lowest that is reasonably practicable. Where problems involve the deliberate or unintentional abuse of prescribed drugs, the person concerned will be covered by this policy. NIGHT WATCH SECURITY SERVICES LTD undertakes to ensure that any counselling is strictly confidential, and that any records compiled by a counsellor will be treated as the individual property of that counsellor. No discussions about an employee will take place between NIGHT WATCH SECURITY SERVICES LTD and the counsellor without the written permission of the person concerned.  NIGHT WATCH SECURITY SERVICES LTD accepts that job security will be maintained for any employee participating in treatment and/or counselling in an attempt to deal with drug or alcohol abuse. Where an employee has to be away from work to undergo treatment, their job will be held open in accordance with normal sickness procedures. However, it has to be accepted that, in the long-term, job security must depend on work returning to an acceptable level. Advice will be sought and consideration given as to whether the person’s original job would be consistent with maintaining recovery. Drug or alcohol abuse will not in itself constitute grounds for dismissal, unless the person’s action or performance reaches an unacceptable level. Such cases will be dealt with under normal disciplinary procedures. Where an employee is referred for treatment under this policy, any disciplinary procedures associated with drug or alcohol abuse will be suspended and remains so for the duration of the treatment. Where an employee with a drug or alcohol-related problems is unable to continue to perform his/her duties whilst undergoing treatment, adequate time off for treatment will be allowed. Relapses will be referred to the independent counsellor for assessment, and consideration given to further job protection. Any employee with a drug or alcohol-related problem is encouraged to seek guidance and assistance from the recommended local counselling agency. Where indicators, such as poor work performance, absenteeism, poor health or deteriorating behaviour, indicate a possible problem, employees will be advised to refer themselves for confidential counselling and advice. Paid time off for counselling and treatment will be allowed in accordance with the normal sick pay scheme. Refusal of treatment will not in itself be grounds for discipline, unless an employee’s action or performance reaches an unacceptable level. If testing procedures are agreed, they must only be enacted on suspicion based on specific personal observations that the person concerned is under the influence of drugs or alcohol. Tests will be at the expense of the company. Any person testing positive shall have the right to challenge the results and obtain an independent analysis of the sample. Any person testing positive, who accepts the results, will be referred for treatment and advice in accordance with the rest of this policy.